Today, Tim Challies posted a summary of an article that Al Mohler wrote in 2006 regard The State of Preaching. He touched on the trends and the things that are lacking and amazingly or not so amazingly these things are still very relevant 6 years later in 2012! Please take time to read it and then share your thoughts here. 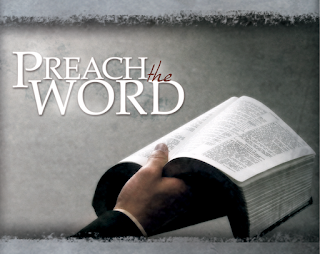 I'm reminded that one of the first things pastors are charged with is is to preach The Word! Take a look at 2 Timothy 4:1-5 for the charge and calling! #1: Pastor please remember your calling! #2: Church, pray for each other and your pastors and other leaders. Uphold them in prayer and be an encouragement to them as they seek to fulfill their calling in shepherding God's Flock! Pray that they'd exalt God and His Word! 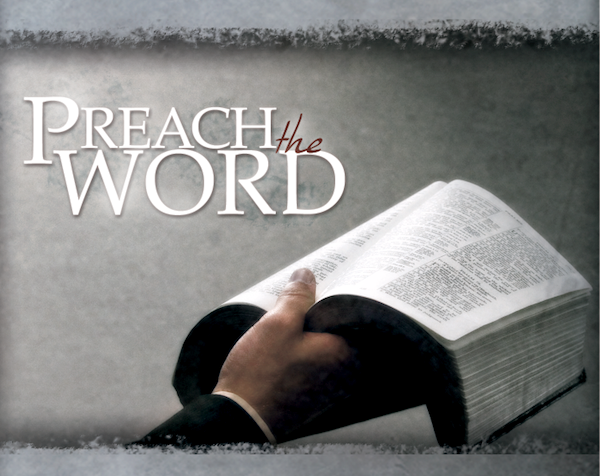 If we're not preaching The Word as pastors and lay people, then what are we doing? According to The Word, Pastors are called to do many things to shepherd The Flock and correctly handling God's Word is Job One as everything else we do flows from The Word. So, if we're not handling it correctly by glossing over things or taking things out of context in order to "fit them" into "our" message then we are guilty of not fulfilling our call and we will lead people astray! We need to repent of this and ask The Lord to help us do things His Way and not our own because it's ultimately Him that we're representing! We also need to affirm this with the congregation. Furthermore, if we aren't handling The Word properly then our doctrine, which flows from The Word, will be skewed as well in theory and in practice! These are one's I've grown committed to even more so over the last several years - especially when it seems that within the church these are starting to become less-and-less valued at times or in some circles of The Church. I will share another post in the near future that will briefly expand on why these 5 are essential/vital to the The Church universal and individually as pastors and believers in general. Have a great day and Live for Him!